Kids these days have a lot of amazing books to choose from, but when I was a kid the middle-grade and teen sections were pretty sad looking. I found myself reading a bunch of random stuff and completely bypassing the books that other girls were reading, like Judy Bloom and Babysitter’s Club. This is pretty much a direct reflection of what my reading life looks like now, because I never seem to read the books that everyone is talking about. 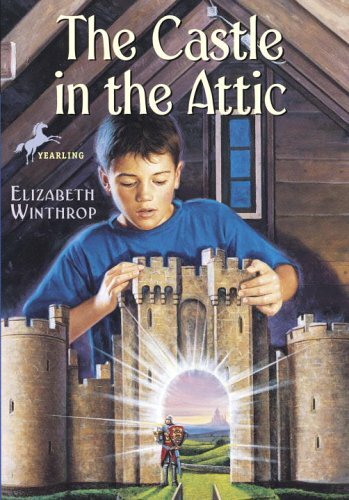 The Castle in the Attic by Elizabeth Winthrop – This book ends up on all my lists of favourite children’s books. I reread this one so many times when I was younger, and look forward to sharing it with the kids in my family when they are old enough. I once used it to help teach a kid to develop a love of reading, and always had it with me when I moved back and forth from school. Synopsis: William has just received the best present of his life—an old, real-looking stone and wooden model of a castle, with a drawbridge, a moat, and a finger-high knight to guard the gates. It’s the mysterious castle his housekeeper has told him about, and even though William is sad she’s leaving, now the castle is his! William can’t wait to play with the castle—he’s certain there’s something magical about it. And sure enough, when he picks up the tiny silver knight, it comes alive in his hand! Sir Simon tells William a mighty story of wild sorcery, wizards, and magic. And suddenly William is off on a fantastic quest to another land and another time—where a fiery dragon and an evil wizard are waiting to do battle. . . . 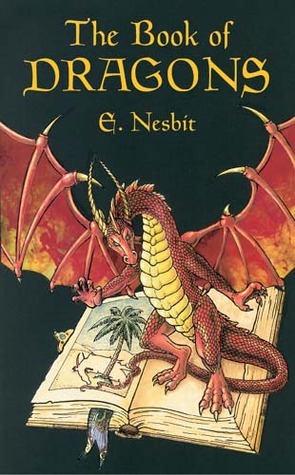 The Book of Dragons by E. Nesbit – I have no idea where I got this book, but I loved all the stories of the different kinds of dragons. My favourite story involved a world where all the big animals on Earth were little, like elephants, and the small ones were huge, until something crazy and dragon-related happened. Synopsis: Eight madcap tales of unpredictable dragons — including one made of ice, another that takes refuge in the General Post Office, and a fire-breathing monster that flies out of an enchanted book and eats an entire soccer team! Marvelous adventure and excitement for make-believers of all ages. 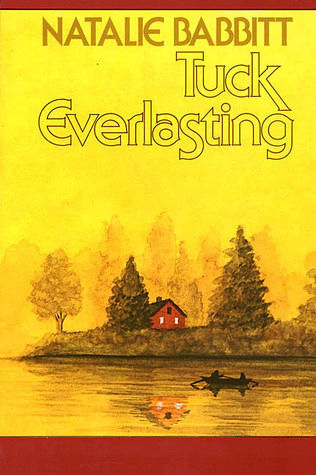 Tuck Everlasting by Natalie Babbitt – This was one of the first books I read that was a combination of real-world and a bit of fantasy. I loved the idea that hidden somewhere on this boring old Earth is a small piece of magic that must remain a secret to keep everyone safe from themselves. Synopsis: Doomed to – or blessed with – eternal life after drinking from a magic spring, the Tuck family wanders about trying to live as inconspicuously and comfortably as they can. When ten-year-old Winnie Foster stumbles on their secret, the Tucks take her home and explain why living forever at one age is less a blessing that it might seem. Complications arise when Winnie is followed by a stranger who wants to market the spring water for a fortune. Charlotte’s Web by E.B. White – I’m sure this is a favourite story for many people thanks to the movie, but for me it’s always been because of the book. I often wished that the animals I knew were clever enough to communicate with me via text. Can you imagine if your dog could just write you a note explaining why they decided to eat the cat litter? Synopsis: Some Pig. Humble. Radiant. These are the words in Charlotte’s Web, high up in Zuckerman’s barn. Charlotte’s spiderweb tells of her feelings for a little pig named Wilbur, who simply wants a friend. They also express the love of a girl named Fern, who saved Wilbur’s life when he was born the runt of his litter. Bridge to Terabithia by Katherine Paterson – This was one of my first “grown up” books when I was younger, which was given to me by a cousin. I read it so many times just because she thought I was mature enough to appreciate it at the age of 8. I hated the ending though, so I always made up my own “happily ever after” ending where Jessie and Leslie grow up and get married and build a house in their Terabithia woods. Synopsis: Jess Aarons’ greatest ambition is to be the fastest runner in his grade. He’s been practicing all summer and can’t wait to see his classmates’ faces when he beats them all. But on the first day of school, a new girl boldly crosses over to the boys’ side and outruns everyone. 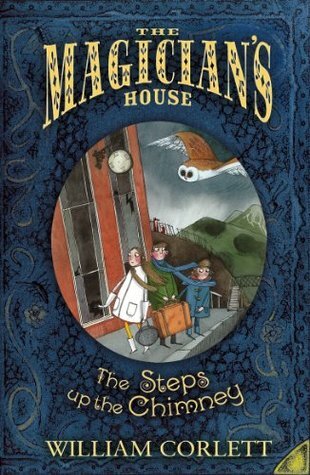 The Steps Up the Chimney by William Corlett – This series was my Narnia. I didn’t read C.S. Lewis’ books until much later, but this series caught my eye while wandering my public library as a kid and I had to borrow them. Once I got older and the Internet made finding books easier, I ordered the entire set just so I could have it forever. Synopsis: William, Mary and Alice arrive at Golden House on their Christmas holidays, and it doesn’t take them long to realise that there is something mysterious about the ancient house. William’s inquisitiveness draws them to the secret steps up the chimney and into the secret room where the magician lives. 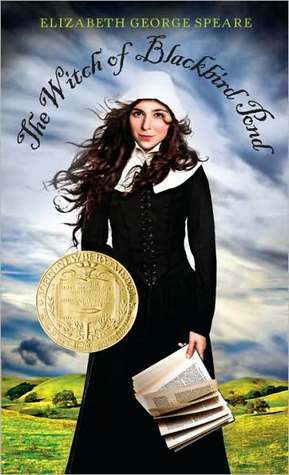 The Witch of Blackbird Pond by Elizabeth George Speare – This is another one of those books that I have no idea how I came by it, but I’m glad I did. I’ve always been interested in reading about different religions, and this book taught me about the Quakers and the persecution they faced when they came to North America. Synopsis: Orphaned Kit Tyler knows, as she gazes for the first time at the cold, bleak shores of Connecticut Colony, that her new home will never be like the shimmering Caribbean island she left behind. In her relatives’ stern Puritan community, she feels like a tropical bird that has flown to the wrong part of the world, a bird that is now caged and lonely. The only place where Kit feels completely free is in the meadows, where she enjoys the company of the old Quaker woman known as the Witch of Blackbird Pond, and on occasion, her young sailor friend Nat. But when Kit’s friendship with the “witch” is discovered, Kit is faced with suspicion, fear, and anger. She herself is accused of witchcraft! 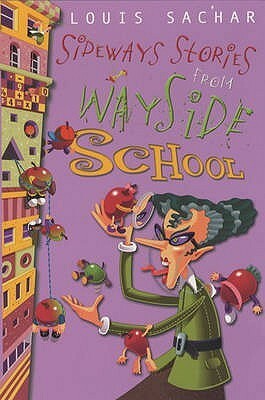 Sideways Stories from Wayside School by Louis Sachar – These stories are so much fun, and I thought that it was really neat that there was a continuous plot line that tied each story together but that they could be read individually as well. I wished that my teachers would be as cool as some of the teachers in this book. Synopsis: There was a terrible mistake – Wayside School was built with one classroom on top of another, thirty stories high (The builder said he was sorry.) Maybe that’s why all kinds of funny things happened at Wayside-especially on the thirteenth floor. 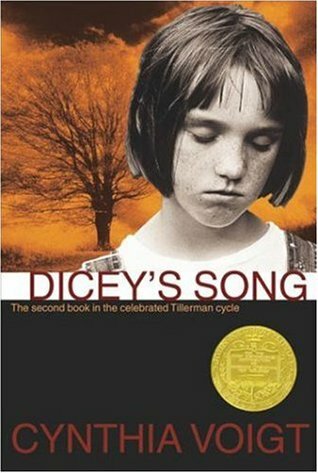 Dicey’s Song by Cynthia Voigt – This is another book that will be a favourite of mine forever. I adore the Tillerman family and as a kid I really identified with Dicey as a bit of an outcast. I desperately wanted to own the heather grey wool sweater that her grandmother makes for her, which may explain my love for all things grey to this very day. Synopsis: Now that the four abandoned Tillerman children are settled in with their grandmother, Dicey finds that their new beginnings require love, trust, humor, and courage. 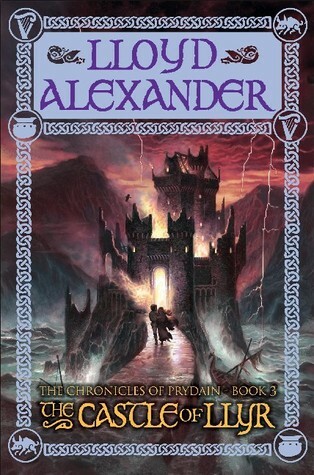 The Castle of Llyr (The Chronicles of Prydain #3) by Lloyd Alexander – I started rereading this series last year but forgot that the first book wasn’t exactly my favourite. Most people like the second (The Black Cauldron) because of the movie, but I’m a fan of the third. I like that the story focuses more on the Princess and her desire to be herself in the face of society’s expectations. She’s a rough and tumble girl who doesn’t want to wear dresses and go to parties, and I totally get where she’s coming from. Synopsis: Princess Eilonwy hates to leave her friend Taran, Assistant Pig-Keeper, and her beloved home, Caer Dallben. Why does she have to go to the Isle of Mona to train as a proper lady when she’s already a princess? But Eilonwy soon faces much more than the ordeal of becoming a dignified young maiden, for she possesses magical powers sought by the evil enchantress Queen Achren. When Eilonwy is put under a deep spell, Taran and his companions set out on a dangerous quest to rescue her. Yet how can a lowly Assistant Pig-Keeper hope to stand against the most evil enchantress in all of Prydain? I love this topic! I had such a huge crush on Tuck (I think especially after the movie came out). Haha, yeah, I totally understand that crush. What girl isn’t going to fall for a mysterious boy who lives in the woods, who can look after himself and cares for his family? The first and second books of The Chronicles of Prydain series were my favorite. I can’t recall having seen the movie though. Unfortunately, I didn’t like The Castle of Llyr much because it wasn’t as I expected it to be and I really didn’t like the last book though now I wonder if I was too hard on it when I read it. It’s such a weird experience reading them now as an adult. I really struggled to read the first book during my reread last year. I just found so many flaws in the storytelling that I never noticed as a kid. I started reading (or rereading, I can’t recall if I read them when I was younger) them about a year ago and liked the earlier ones then. There are many faults in the last book and I wonder if noticing that now is because I’ve grown some or because I was in a foul state of mind while reading. The Witch of Blackbird Pond is one of my all time favorites. I remember Tuck Everlasting– I read it with My Side of the Mountain several times. Can’t remember why I paired them anymore, though. I loved Wayside Stories and Charlotte’s Web! Classics of my childhood. 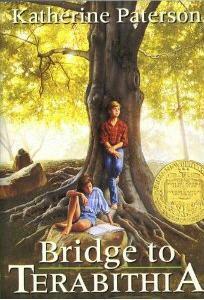 I read Bridge to Terabithia for school in 5th grade, but I hated it! Then we watched the movie in class, and for some reason I loved the film! Maybe since I knew the ending it didn’t feel like such a disappointment. Great topic! I see a few childhood favorites here — and I just reread The Witch of Blackbird Pond this year for the first time since I was in middle school! I loved it — it really holds up well. I haven’t read any of these – although I’m sure I started Charlotte’s Web at some point during my childhood. I feel a bit ashamed of myself actually. I LOVED the whole Lloyd Alexander series – seeing it here reminded me of it. I’ll have to suggest that one to my daughter. The Castle in the Attic, Charlotte’s Web, and Sideways Stories from Wayside School are all favorites of mine! I most definitely need to read Bridge to Terebithia and Tuck Everlasting- Somehow, even though I’ve always meant to read them, I just haven’t gotten around to it yet. Everyone always tells me I need to!